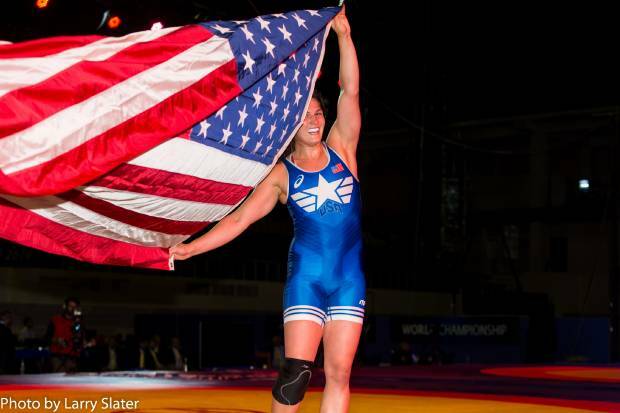 Adeline Gray, 2014 World Champion. Some women struggle with glass ceilings; other women ‘throat punch’ those ceilings. What an incredible tournament! Several come from behind victories including a 7 point rally to defeat China’s Qian Zhou.